Ice swimming increases your fitness, is refreshing and worthwhile experiencing during your winter holiday. 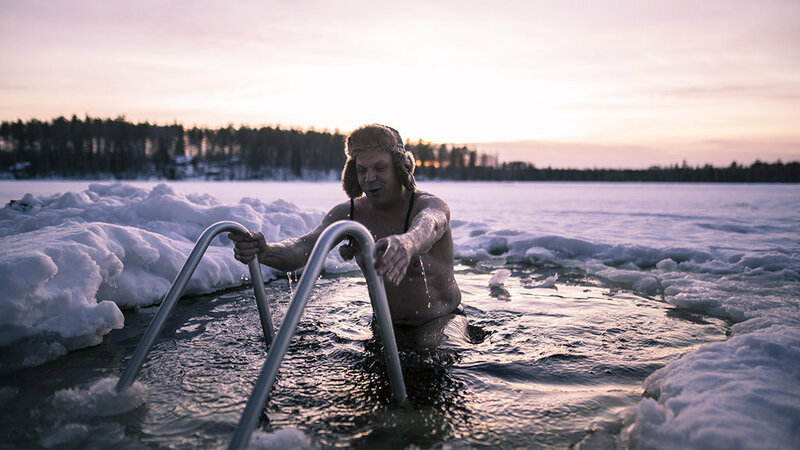 Even if it costs you a little effort to glide into the ice-cold water at low air temperatures - swimming in winter strengthens your immune system. The body has to transform its own reserves into heat as quickly as possible and transports this heat to all extremities as a result of the rapid cooling. It is best to swim in the water after a hot sauna session. You will feel as if you have been reborn. 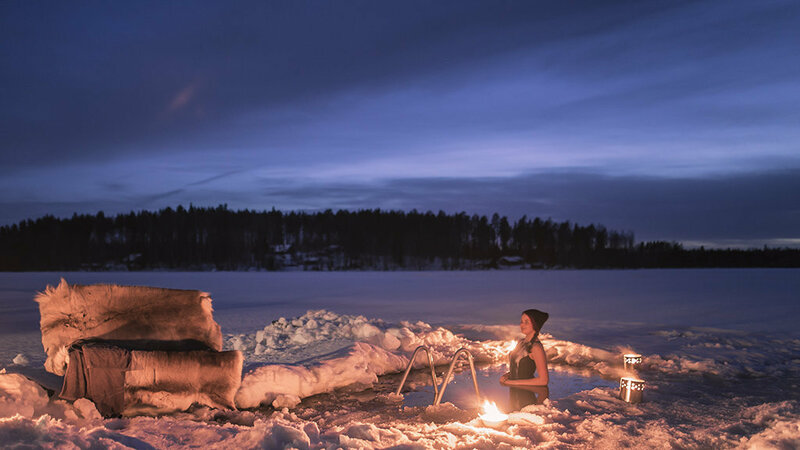 By reserving this product in our web shop, we provide you for your entire stay with a 1.5-2m molten ice swimming hole in front of your holiday cottage. We will saw the ice hole on your arrival day into the ice and with the help of a small compressed air equipment, we take care that the water moves continuously, preventing it to freeze again. The surroundings of the ice swimming hole will be illuminated during the dark time of the day so you can go swimming in the afternoon as well. To get into the water you can use a stepladder which is in the edge of the ice swimming hole. Please always make sure that someone is around you when going for a swim. Price: 50 € / Soukkio cottage. Please call +358 50 566 0905 or send an email to sales@rockandlake.com.